The use of Standardized Patients gives our Step 2 CS workshop participants the most realistic experience in preparation for their USMLE Step 2 CS exam. C3NY maintains a diverse cadre of experienced professionals who can portray anything from a 16 year old runaway, to a 45 year old man with adult onset diabetes, to a 77 year old with Alzheimer’s. 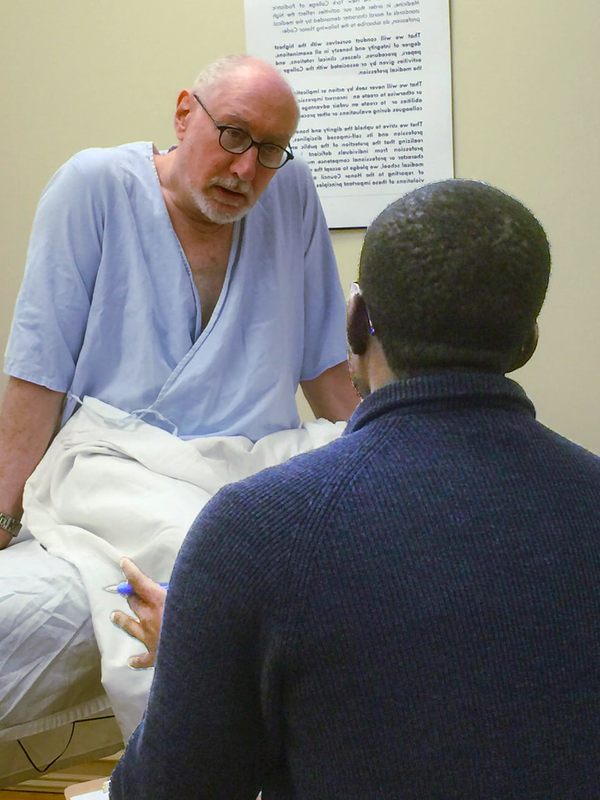 The Standardized Patients (SPs) who work with C3NY are capable of simulating not just a patient, but anyone involved in an encounter, be it doctor, nurse, therapist, administrator or family member. We recruit SPs from a large and talented pool of individuals in the Tri-State area, most of whom have Bachelor’s and/or Master’s degrees in education, medicine, or the arts. The vast majority of the SPs who work with C3NY have eight to fifteen years of experience working in various medical education settings. Many also have extensive experience in other programs utilizing simulated encounters in medicine, allied health, nursing, law or finance. SPs are individually recruited for each specific program and case to give our Step 2 CS workshop participants the most realistic patient experience possible in preparation for their USMLE Step 2 CS exam. We also have the expertise to create new cases. We work with our expert partners to create the necessary biographical sketches, scenarios, history, physical, and communications skills checklists, and then recruit the appropriate people to embody these cases as realistically as possible. In addition to standard physical cases, such as cholecystitis, migraine headache, lupus, adult onset diabetes, etc., we also develop cases in psychiatric disorders, such as depression, anxiety, and schizophrenia. The use of Standardized Patients in the field of medical education has risen exponentially in the past two decades. The emphasis has shifted from a knowledge-based curriculum to a clinical skills-based curriculum. With the USMLE Step 2 CS examination, the field of standardized patients has become an essential part of modern medical education. At C3NY, we understand the importance of working with SPs while preparing for your Step 2 CS exam, because Dr. Swartz, our President and CEO, is a pioneer in the field of performance-based assessments. We presently maintain an active database of over 250 SPs, drawn from a more comprehensive and diverse database of 1600 SPs of varying sizes, ages, ethnicities and talents, and we take great care to find exactly the right SP for each encounter. 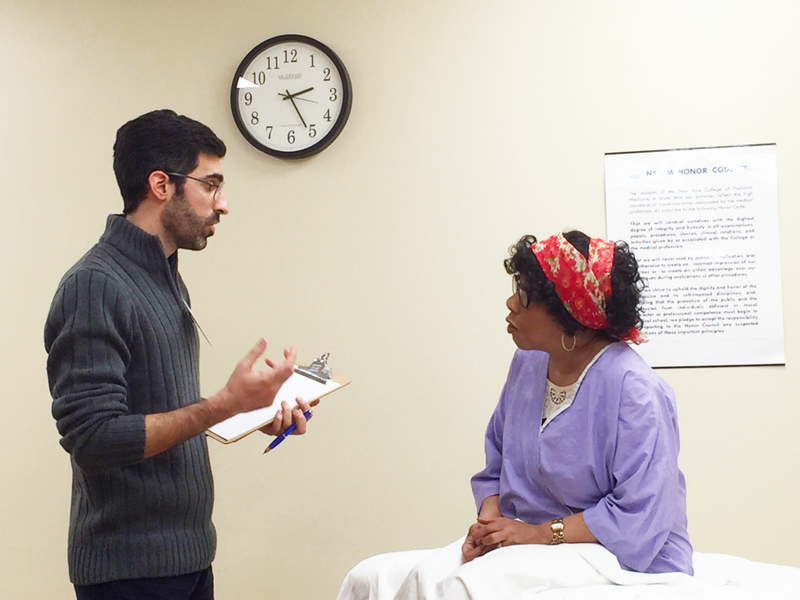 Interested in working with our Standardized Patients?